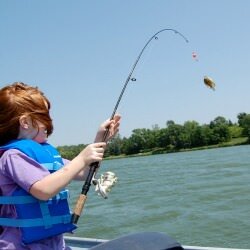 Fishing for crappie is a ton of fun the entire family can enjoy. And crappie fishing is one of the most exciting freshwater fishing activities to take part of with using ultra light tackle. 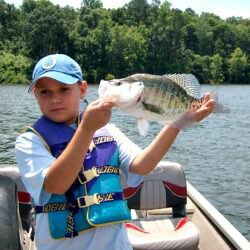 The excitement is especially sweet if you have ever witnessed a small child battling it out with some of these feisty little panfish. What more could you ask for on a beautiful day? This is why we have put together this section. 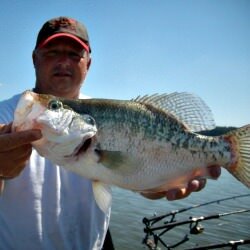 We want to help you catch more crappie. 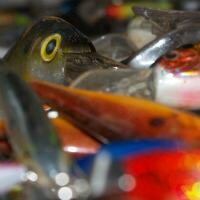 This is why we have informative articles that provide various tips and techniques, knowing which baits and lures to use, picking out the proper rods, and even a section to post and share your pictures and stories. One extra nice bonus from crappie fishing is that occasionally you'll find and catch some largemouth bass. 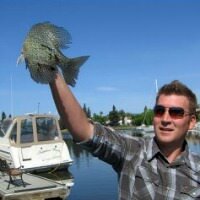 And sometimes other fish like smallmouth bass or even bluegills can be found shimmy shaking on the end of your line when fishing for these panfish. I say it's a bonus because I absolutely enjoy bass fishing. And to be able to battle bass on light tackle is truly a fun challenge. 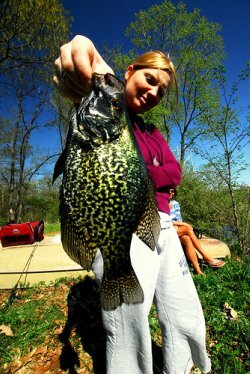 I enjoy catching crappie just as well, so we'll just have to remain focused on crappie here. Are you ready to put together a few stringers of these papermouths? I know I am. 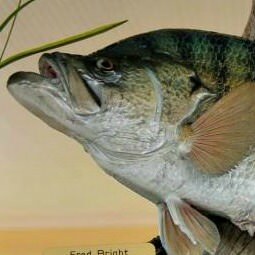 The following information is an assortment of general tips, common sense techniques, and high level tactics to help with busting more fish. I have found that crappie are quite often located in many of the same areas that usually hold other species of fish. Black bass and other varieties of sunfish can often be found hiding in those same areas. However, during many certain times of the year, crappie are known to stay on the move. If you want to understand how to catch crappie consistently, you must be willing to adapt to the conditions and follow their patterns. 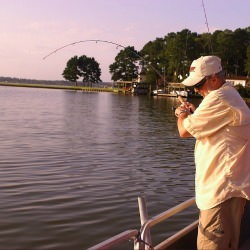 Crappie can be caught using a variety of methods. For greater success, it's best to factor in the time of year and season, water temperature, and the time of day, etc. These circumstances will help play a part for deciding what techniques you should apply, which will stack the odds in your favor for catching more crappie. Be sure to check out our 3 hot tactics for catching summer crappie as well. Light tackle is definitely a requirement of crappie equipment to successfully entice these fish into biting. I always enjoy tossing a variety of crankbaits and jigs, and I'll also have much success using different kinds of baits. 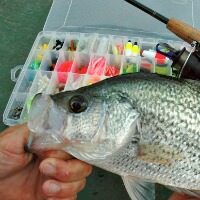 I, as well as many other crappie anglers, will often use a bobber or a slip float with bait, and sometimes I'll even use a float with my lures in certain situations. 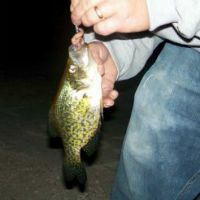 The Crappie Magnet is a great lure to entice these panfish as well as other small fish like bluegills and trout. 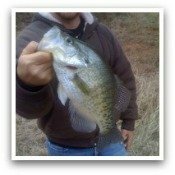 Mr. Crappie proudly specializes in designing and creating fishing tackle specifically towards one main species of fish, which is none other than crappie of course. I also have often discovered that once I start catching a couple, it's wise to be aware of that. The reason is because they are a schooling fish. So it's not uncommon to start banging them out, one after another. Before you know it, the ice chest is full and you're ready to have a fish fry cook out with your buddies. We like to have little fishing contests with whomever we're fishing with. Just some friendly action to see who catches the most crappie. When I'm with my kids, I try to ensure that they are having a great time and I help them catch as many fish as they can. As much as they enjoy catching the fish, they are just as excited about releasing them safely back into the water, including the ones I catch. Whether you are casting or trolling from your crappie boats, or fishing from the bank, you can take notes for yourself of all things that are presented. Some of the simplest or slightest things can give you that edge for getting into the fish. And it seems that some days they won't bite anything, and other days you can't seem to get your line back in the water fast enough. Ultimately, locating them is key. 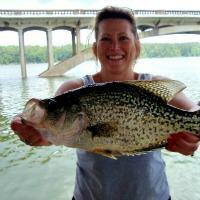 Who knows, you might be the one to catch a world record crappie. So get out there and catch many crappie. Good luck and light lines. 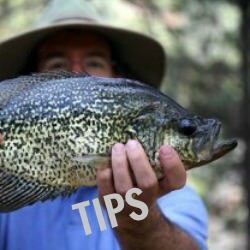 Get countless tips throughout the entire year from the Crappie World magazine. Show off your crappie pride with some cool crappie decals and stickers.